Attendance is on invitation only. The JuniorTukkie Office will send invitations (via email) to JuniorTukkie members who are currently in Grade 9 (and their parents). Learners are required to make subject choices for Grade 10 at a very early age towards the end of Grade 9. Learners are also required to consider possible career choices at this tender age, since this would influence their choice of subjects. Since learners of this age often are not yet sure about careers they are interested in, it is important to tackle this process step-by-step in a positive way. 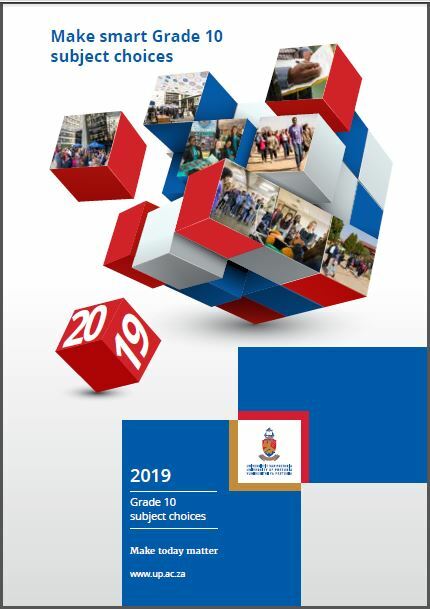 There is no reason for learners and parents to panic but instead they should be excited to work together in planning an exciting and interesting study and career future that will determine what will be a suitable choice of subjects for Grade 10. The aim with this Information Session is to give guidelines to learners and parents in making safe choices of subjects for Grade 10.